"A baby in the house is a well-spring of pleasure, a messenger of peace and love, a resting place for innocence on earth, a link between angels and men". Natura’s homoeopathic remedies can safely support you and your baby as you face the physical & emotional demands of your incredible journey through motherhood. Almost half a century ago, Dr. Michael Levien with his dedication and passion to make a difference in the world of healing created Natura. Natura represents the success and value of true inspiration on which its existence was founded. Since 1966, Natura Laboratory has been manufacturing and distributing homoeopathic medicines in South Africa. From its humble conception, Natura continually strives to serve the unique needs of health care practitioners and the public alike by dedicating itself to supplying natural products which are made with integrity. Natura currently provides consumers with a homoeopathic range especially suited to the treatment of common and minor illnesses and to complement the treatment of chronic and more serious conditions. 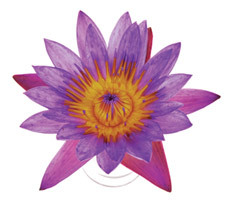 The lotus flower has traditionally been recognised as a universal symbol of awakening, creation and purity. It starts its life at the bottom of a pond in the mud and slowly grows up towards the water surface continually moving towards the light. Once it reaches the surface the lotus plant begins to blossom and turns into a beautiful fl ower. The lotus flower symbolically represents the development of an individual towards enlightenment and consciousness. It also represents the past, present and future as the plant bears buds, flowers and seeds at the same time. For Natura it symbolises the deep harmonious healing action of its remedies and their unique ability to gently restore vitality and health to those in need. It also promotes the striving to ‘conscious’ caring for all the other beings that inhabit the earth. CoMed Health is a holding company for a number of Complementary and Alternative Medicine (CAM’s) companies and brands, including Natura Laboratory and Bioter Health. The company was formed in 2009 when the 50 year old Natura company was sold into CoMed and on track to become South Africa’s leading supplier of Complimentary and Alternative Medicines (CAM's). Click here for the CoMed Health website.